Equatorial Guinea head coach, Jean Paul Pila insists his side is a team of the future. The AWCON 2018 may have come and gone for Equatorial Guinea but Pila says it is more of an incubating ground for his team. Paul Pila was speaking at the press conference ahead of his team's game against Nigeria. Though he admitted earlier on that his team had few days to prepare having only been reinstated barely ten days to the start of this competition, he now says he is preparing a team for the future. "I came to prepare the team for the future. I just need two months to work because I know myself and the team. This is a young team with abilities. "We realised at the beginning there's no tactical strength in them but with time we are getting there". Paul Pila said. Furthermore he called on lovers of the team to keep believing in them. "Never lose hope because Equatorial Guinea will soon come back to the African scene. I need just two to three months and then I'm sure Equatorial Guinea will make it to AWCON 2020". The most capped player in the team Genevova Anonman shares the same thoughts as her coach. "This is a young team. We have a future. We keep learning and get to the top,” Anonman said. On her plans to retire after this year's AWCON, Genevova confirms that though she had plans to retire from the game but all that has changed now. 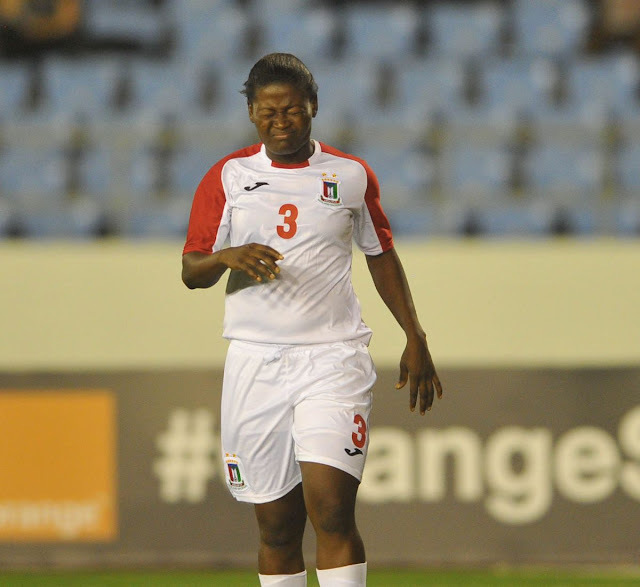 The 2012 African footballer of the year also holds the record for scoring the highest number of goals in the Equitorial Guinea women's team (24).